July 15, 2016 Comments Off on Are you a volunteer? 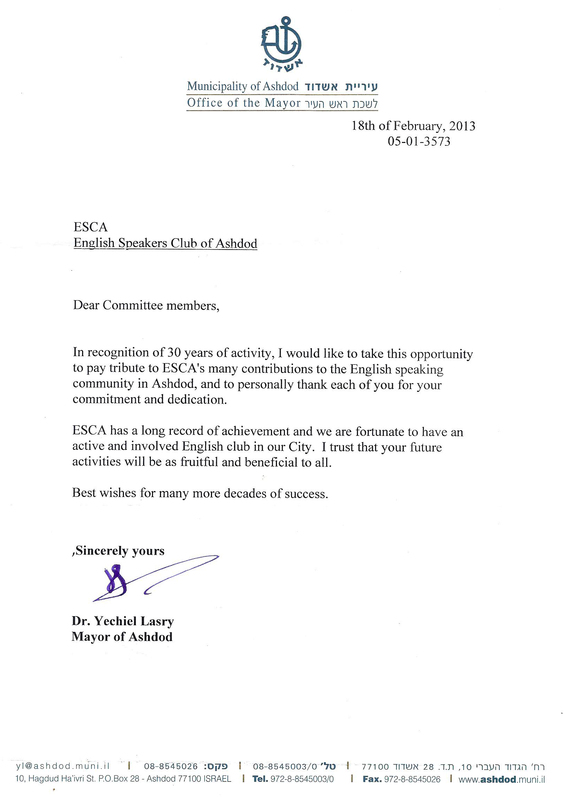 ESCA has been recognized for its contributions to the wider community with a letter of thanks from his honor, Mayor Yehiel Lasri, in appreciation for the volunteering spirit of our members. 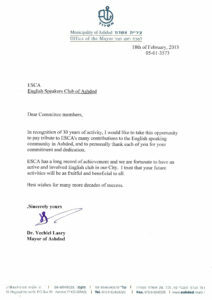 To quote His Honor: “In recognition of 30 years of activity, I would like to take this opportunity to pay tribute to ESCA‘s many contributions to the English speaking community in Ashdod, and to personally thank each of you for your commitment and dedication.” And there’s more. To read the full text of His Honor’s letter, click the letter on the right. 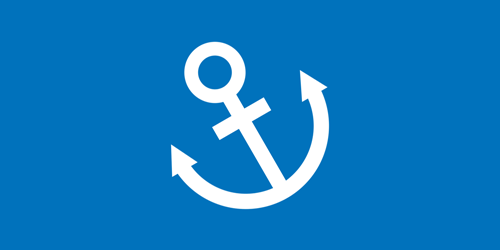 We would like to compile an accurate list of all our members who are active in the community, whether in a school or other public institution or in another framework dedicated to volunteering and helping others. Please let us know, by return email or by phone, what it is you do. 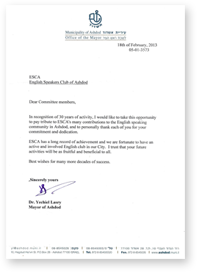 Don’t be modest: we simply want to let other organizations know that the English speaking community is as vital and productive as any other. Reply to this email address or to: Anita or call Arlene or Chana with your information.